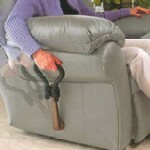 The CouchCane offers support with getting up and sitting down on a couch or recliner. If you fear falling when rising to stand or sitting down, using the CouchCane will help you permanently eliminate that fear. 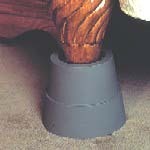 The CouchCane has a heavy plate that slides under your chair or couch preventing it from pushing over in use. 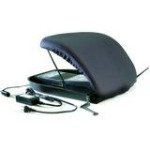 • Adjustable height: from 29" to 32"
• Width of handle: 15"
• Product weight: 19 lbs. • Weight capacity: 300 lbs. 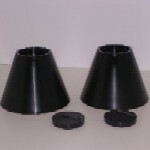 • Product package dimensions: 27" x 17" x 2.5"
The wide handle is made of quality steel components with powder coat finish providing long lasting durability. The base of the CouchCane is adjustable and reversible; installs on either end of your couch, or to the left or right of your chair. The CouchCane is very sturdy, stong and stable.